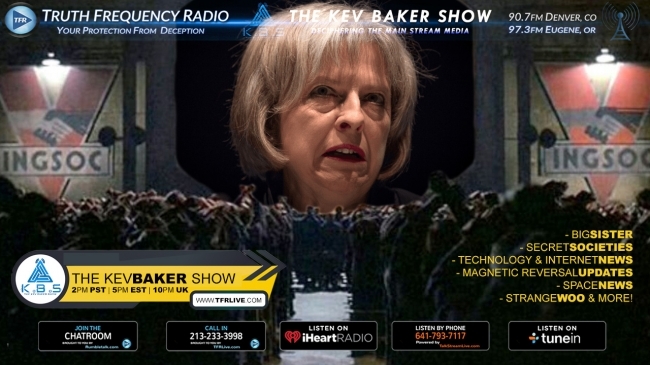 Join me as i go over the latest spat between President Donald Trump & PM Theresa “Big Sister” May, in relation to the NHS crisis that is, or isnt, occurring in the UK at this time. I talk about how it should be a human right for everyone to expect the highest levels of health care, and not be worried about whether or not they can afford to pay for basic health care. Johnny Whistles adds to this in the second half of the show when he joins in the discussion. Theresa May is set to make a speech tomorrow in which she will include details of a proposed new law that would see offensive, intimidating or threatening comments to politicians made illegal. Talk about a clamp down on free speech from the woman known as Big Sister. Then Johnny Whistles & I touch back on the polar reversal that may be coming our way. A recent bird die off in Utah leads me to question whether or not we are starting to see the shields around the planet dropping as the magnetosphere prepares to flip. All this & space news from The Whistler on the fastest two hour in radio.